Salt without a doubt makes food more delicious, and savory, but it also has other unexpected advantages at fixing up other things around the house. Table salt can be used for the following applications, but why not make the choice to use Sea salt, or Himalayan salt. 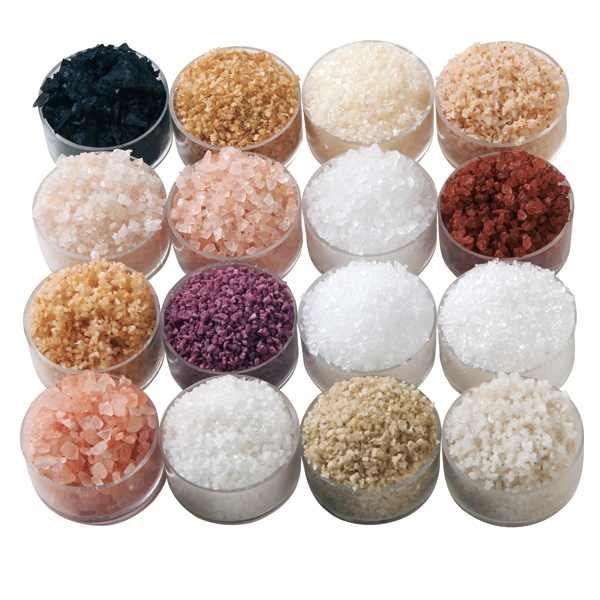 Both salts are in their original form, or in other words, contain all the trace minerals found in a rock of salt. Here are a few suggestions out of 100’s of household uses for salt. 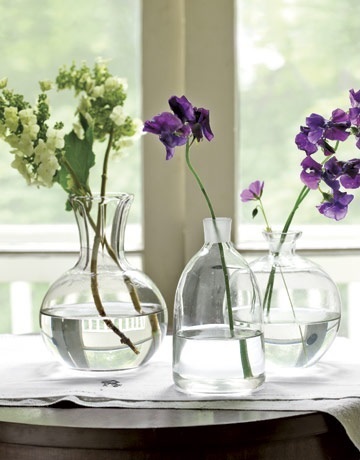 You just bought yourself or received a bouquet of flowers, but the glass vase is marred with cloudy streaks on the inside due to hard water stains. Here’s the salt fix: Scrub the streaks with a paste of 1 teaspoon of of salt and 2 tablespoons of white vinegar. How it works: The abrasiveness of the salt grains and the acidity of the vinegar cuts through the mineral deposits that are causing the streaks. 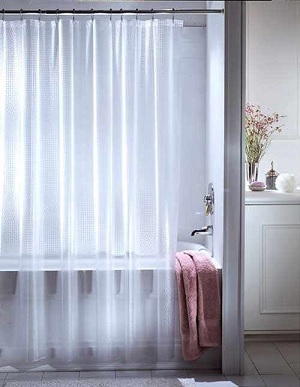 Keeping a shower curtain clean a mildew free can be a job. But here is the trick to keeping free of mildew with the use of salt. 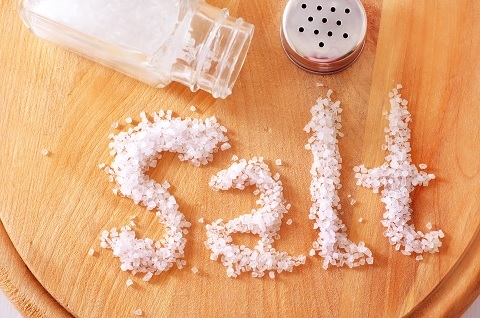 Here’s the salt fix: Fill the bath tub with 5 to 6 inches of water, and add 2 cups of salt. Remove the curtain from the rod, and immerse it into the salt water for about an hour. How it works: Soaking the curtain in salt water will leave an unseen coating of sodium crystals that helps to prevent mold and mildew from latching on to the plastic shower curtain. Don’t those brooms wear out faster than expected. If you want to extend or boost the useful life of that household broom do the following. Here’s the salt fix: Before the new brooms first use, soak the bristles in a 50/50 solution of hot water and alt for about 25 to 30 minutes. How it works: Salt hardens the brooms bristles to prevent them from fraying. 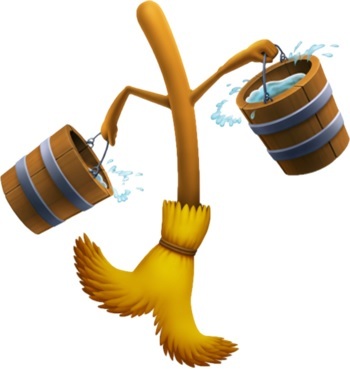 After removing the broom from the salt-water, just store it leaning against a wall upside down so the bristles are off the floor when not in use. You love your dog, but you hate the fleas that can hop from your pet to the carpet. Is there a solution to getting rid of the fleas and not the pooch? Here’s the salt fix: Vacuum the carpet and furniture thoroughly. Next, literally sprinkle the salt crystals over the surface of the carpet and upholstery. Let the salt sit overnight, then vacuum again the next day, and empty the canister right away. How it works: The salt will dehydrate those little fleas that hatch from eggs deep in the carpet and fabric fibers of the upholstery. 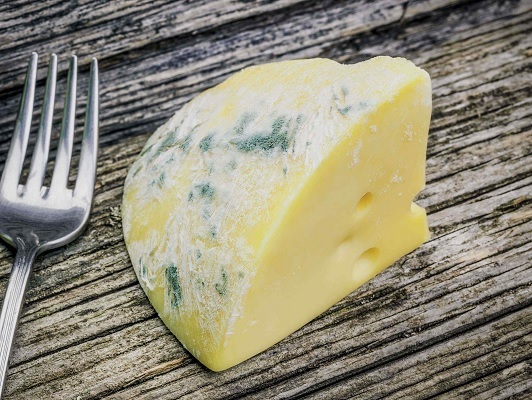 We all hate the mold growth on cheese. Is there a way to slow or stop mold from naturally growing on it? Here’s the salt fix: Soak a paper towel in in a mixture of 2 tablespoons of salt and 3 cups of water. Wrap the wet paper towel loosely around the cheese before placing it in the refrigerator. How it works: The salt inhibits mold growth by dehydrating it. Detergent can be harsh on clothing after awhile. Naturally brighten those colors with salt. Here’s the salt fix: Use this solution even before your colored cloths start to fad, and even if they have faded, this fix will work to brighten their color. Toss 1/2 cup of salt into the wash cycle. How it works: The chloride in the salt will help to dissolve hard water deposits, in turn helping the colored clothes look like new. 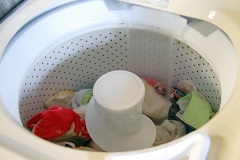 This solution will seal in colors on new clothing with their first washing. Your guests have arrived, but you forgot to put the drinks in the refrigerator. Not to worry. You can cool those canned or bottled drinks in about 5 minutes. How? With salt. Here’s the salt fix: To chilled those canned or bottled drinks, just toss them in a large tub of cold water and 2 handfuls of salt, and as much ice as you can fit. Add the beverages, and in about 5 minutes you have cold drinks. How it works: The salt reduces the freezing point of water, so the caned or bottled beverages will cool in only 5 minutes. Rinse the cans or bottles before serving them to family or guests. 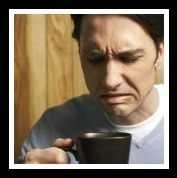 Most people who love their coffee, also hate it bitter. The next time it happens to you, don’t toss the coffee, save it with salt. Here’s the salt fix: Just add a pinch of salt to your cup of bitter coffee. How it works: The ions in the salt helps to neutralize the bitterness of the coffee, without adding a salty taste, as long as it is only a pinch. This entry was posted in Reviews - Kitchen Utensils - Cooking - Food and tagged Bain-marie, Bathtub, bitter coffee, Boiled egg, broom, Cast-iron cookware, chilling cold beverages, Drupe, fleas, flower vase, Himalayan salt, House (season 1), Mold, salt, Sea salt, Seawater, shower curtains, Toxicity, Water heating. Bookmark the permalink.